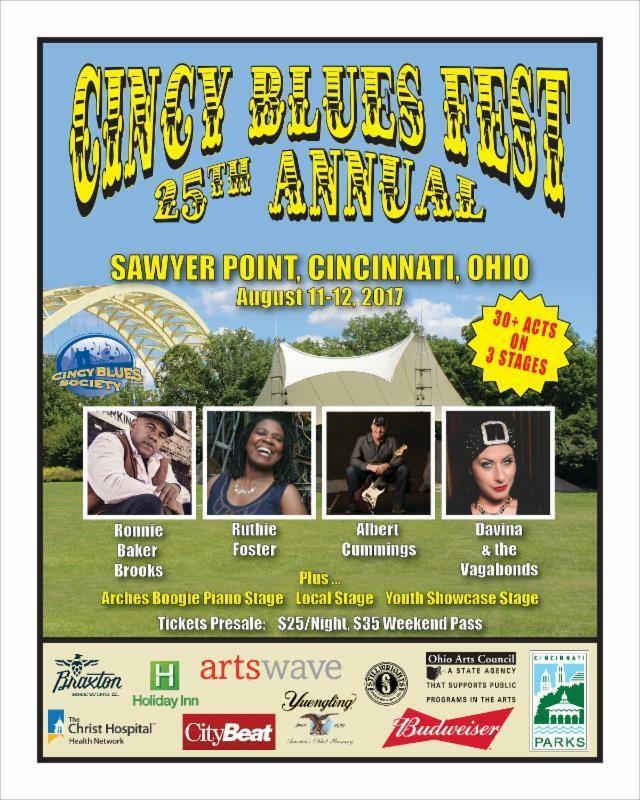 2017 Cincy Blues Fest coming soon! The Cincy Blues Fest is coming up August 11th and 12th, and volunteers are a crucial component. So, if you'd like to hang out for some shifts and help a worthy event, please contact them at their website cincybluefest.org.